The BIMe Initiative has just launched! 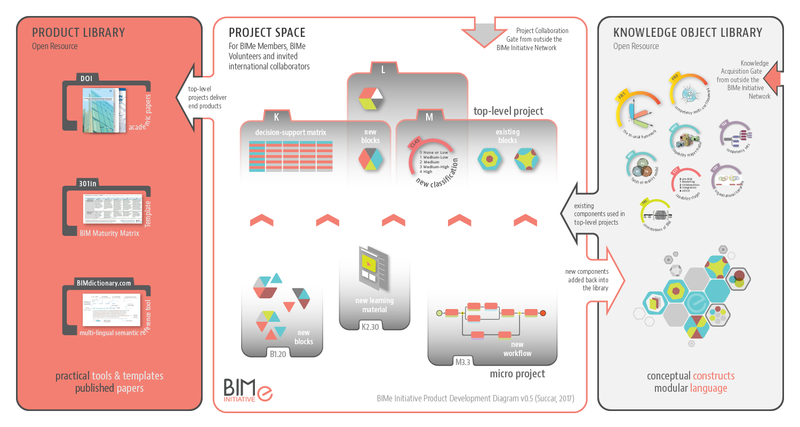 As of today, BIM ThinkSpace, BIM Framework blog and BIM Framework YouTube Channel are part of the BIMe Initiative. As of today, all publications, presentations, and workshops derived from the BIM Framework will follow the initiative’s General Principles and use its Knowledge Structures. As of today, the online BIM Dictionary – the first project of the initiative – supports right-to-left script and 7 languages out of 20 planned in 2017. As of today, all well-informed practitioners, domain researchers, and forward-looking organisations are invited to join the BIMe Initiative Network and contribute to improving the industry’s digital performance. So what is the BIMe Initiative? The BIMe Initiative is based on the BIM Excellence  approach and represents a community-based effort to improve the performance of the construction industry through high-impact research and open knowledge sharing. In essence, the BIMe Initiative complements and – where difficult to complement – provides an alternative to top-down, authority-led, and prescriptive BIM diffusion policies. Supported by clear knowledge structures, a network of international subject matter experts, and an expanding modular language, the BIMe Initiative delivers an innovative, coherent and a timely response to the opportunities and challenges brought-forward by BIM adoption. Developing free-to-use tools and templates to simplify decision-making processes and automate repetitive procedures. Facilitating the exchange of knowledge and experience between academia and industry. Why is the BIMe Initiative needed? There are many government-funded committees, commercially-driven corporations and heroic individuals/groups working towards improving the Construction Industry’s BIM adoption and its overall digital performance. While many of these varied efforts provide great strategies, protocols and digital solutions, they are mostly disconnected from each other, restricted because of copyright clauses, and specific to the markets they originate from. Also, there are only a few truly-international organisations operating in this space but they tend to mostly focus on developing schemas and prescriptive standards for industry to comply with. All BIMe Initiative guides and tools will be released through open channels under a Creative Commons license allowing free use by individuals and organisations on their own projects (service providers require a license). The BIMe Initiative is built upon a clear structure for harvesting and organising knowledge. This structure allows the modular development of highly-interconnected guides and tools. The BIMe Initiative connects international subject matter experts – from academia and industry – through a high-intensity R&D network. Through this network, the best solutions are identified, incubated, tested and released. 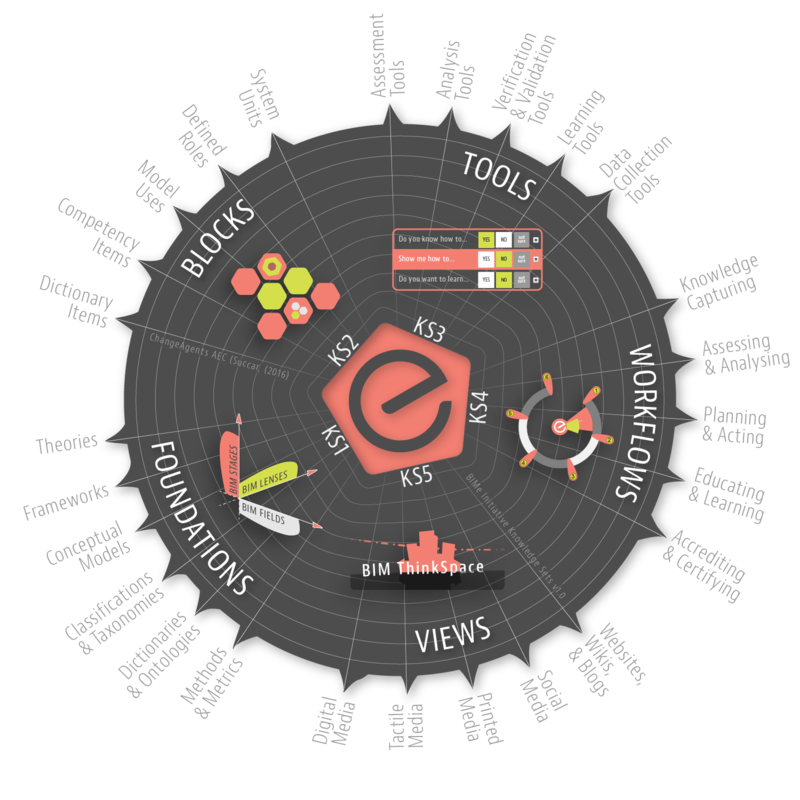 The BIMe Initiative provides a knowledge tool-kit for anyone to use, customise, translate and continuously improve. Through Open Innovation, new solutions are collaboratively developed and shared across disciplines, industries and markets. These General Principles are available in many languages and are further presented as an online Excellence Manifesto for all BIMe Initiative supporters to sign. BIMe Initiative solution are delivered through different types of projects, each aiming to deliver a software application or a published guide of direct practical benefit to individuals, organisations and project teams. BIMe Initiative Projects also aim to deliver conceptual models and learning resources that can be used by researchers, educators and policy makers to conduct investigations, educate industry stakeholders and develop research-based policies. The BIM Dictionary is an example of such an online learning resource developed through a top-level  project. Other examples of BIMe Initiative Projects include the Macro BIM Policy Guide project, the International BIM Competency Benchmarking project, and Integrated Information Platform project (refer to the online Projects List). For more information, please refer to 103in BIMe Initiative Projects. Openly and freely share their knowledge with the wider community. All subject matter experts can support the BIMe Initiative through sharing its deliverables, participate as BIMe Volunteers, or formally apply to become Active or Core Members. For more information, please refer to 104in BIMe Initiative Network. KS5 Knowledge Views identifying the varied ways to represent and communicate BIMe Initiative activities and deliverables. For more information, please refer to 102in BIMe Initiative Knowledge Structures. BIMe Initiative projects generate many components of potential use by practitioners and academics. These components – e.g. frameworks, templates and lists – are shared, first, as peer-reviewed studies on BIMexcellence.org and, second, through high-calibre peer-reviewed journals and conference papers. This early sharing is intended to benefit the wider community and to test/improve the components through application in different markets. For sample publications, please refer to BIMexellence.org/publications/. The BIMe Initiative aims to deliver open solutions that can be freely used by practitioners and academics. Developing these solutions relies mostly on the knowledge contributions of BIMe Initiative Members and Volunteers. It also relies on the financial and in-kind support provided by ChangeAgents AEC which covers its basic operating costs to keep it independent and ad-free. However, to expand the activities of the BIMe Initiative and undertake more ambitious knowledge-sharing projects (e.g. benchmarking the competency across whole markets), it is important to attract the financial and in-kind support of corporate and institutional sponsors. In return for their contributions, sponsors receive public-recognition, and early-access to data, tools and project discussions. For more information, please refer to 901in BIMe Initiative Sponsorship. The BIMe Initiative is a community-based effort committed to improving the digital performance of the Construction Industry through high-quality research, practical-tool development, and open knowledge-sharing. This commitment is encoded in the General Principles and the Excellence Manifesto that you’re invited to sign today. The BIMe Initiative is driven by informed contributors from across the world, each with their own specialty and world-improving mindset. We, the initial group of Core Members, invite you (yes, you) to join us as an active volunteer, signed-up member or recognised sponsor! We will soon publish additional resources, so make sure you join the discussion on Twitter, LinkedIn or ResearchGate. You can also sign-up to receive the occasional BIMe Initiative Newsletter . The BIMe Initiative community is active, please join us! BIM Excellence (BIMe) is a unique research-based approach to digital innovation in the construction industry. It offers an integrated methodology and a modular language for performance assessment, information management, learning and process optimisation. BIM Excellence is originally based on Dr. Bilal Succar's personal research starting in 2007 and mostly published as part of his PhD in 2013. Since then, the research has expanded significantly and now invites others to build upon it to develop their own tools and templates. Top-level projects deliver end-products (guides or software tools) and may include a number of micro projects to deliver interim components (e.g. metrics and workflows) used within end-products. Please note to BIM ThinkSpace and the BIM Framework subscribers are automatically added to newsletter distribution list. Ten years is a long time…that’s how long this blog has been running! On Oct 29, 2005, the first post was published and, since then, a few more. I’d like to take this opportunity to thank those who subscribed or commented. Also, my sincere appreciation to all colleagues who contributed their thoughts as guest authors, translated posts into their native language, and peer-reviewed many of the episodes. Much has changed over the past 10 years and much is still the same. Technologies change fast but not industry’s aspirations which are yet to be fulfilled by this thing called BIM. Let’s see what the next decade brings…Bilal Succar. A number of BIM ThinkSpace Episodes are now available in Italian. These translations follow a collaborative effort with Mr Lorenzo Nissim and his colleagues at the Institute for BIM Italy (iBIMi). I truly appreciate their efforts in sharing the BIM Episodes with a wider international audience. Please note that both Italian and Spanish translations cover all Figures (images) and are true to the original with the exception of a few terms/phrases. The second is Episode 11: La diferencia entre Capacidad BIM y Madurez BIM (The Difference Between BIM Capability and BIM Maturity, first published June 3, 2009). The third is Episode 13: El índice de madurez BIM (The BIM Maturity Index, first published December 18, 2009). I wish to thank Victor Roig and the team at BIMETRC (Barcelona, Spain) for making the episodes available to a wider international audience. More episodes in Spanish are scheduled for release in the near future. Translated episodes are referenced within the original posts and are filtered through the 'Spanish' tab/link (top of the page). If you're interested in translating any of the episodes into other languages, please contact the editor.